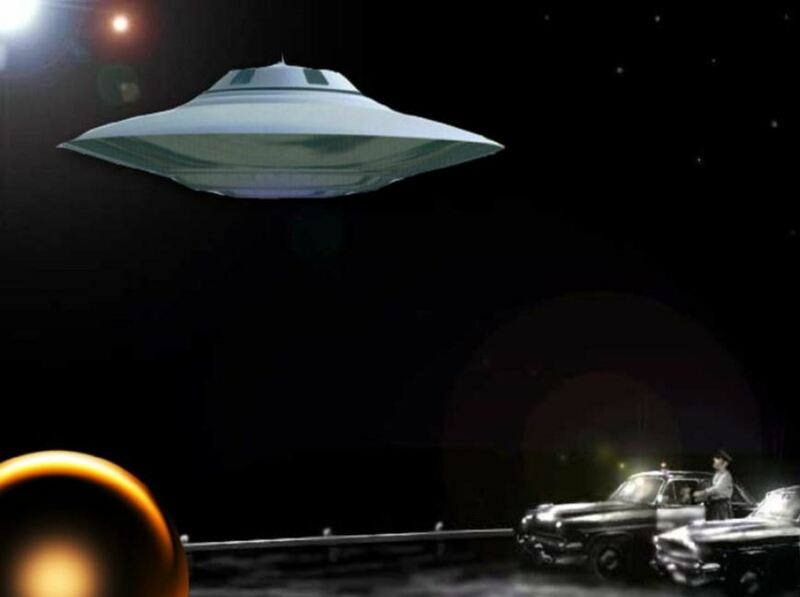 Just before midnight on the 13th August 1960, California Highway Patrol Officers, Charles Carson and Stanley Scott were cruising along Hoag Road near the town of Corning when a sudden light came crashing out of the night sky. Their immediate reaction was that an airliner was about to crash to the ground. They stopped their patrol vehicle and stepped out of the car so as to be able to locate and alert emergency crews to the crash site. However, as the scene unfolded before them, it became apparent that it wasn’t a plane crashing to the ground. In fact, whatever it was, it wasn’t about to crash but was under some kind of intelligent control. 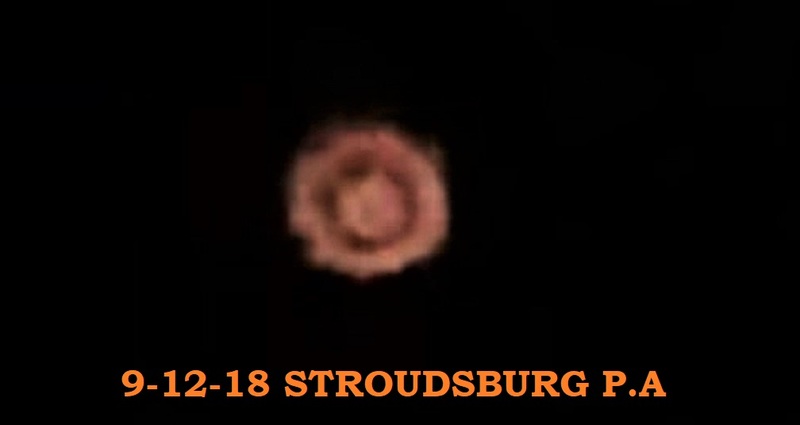 The object moved in complete silence, descending to around 200 feet from the ground. Then, it suddenly moved in the opposite direction before ascending to a distance of around 500 feet. There, it stopped and hovered silently. In his police teletype report, Carson would state the object was in front of them and “surrounded by a glow making the round or oblong object visible”. At each end of the craft were “definite red lights”. Every now and then “five white lights” would shine between the two constant red glows. As the two officers watched the object move once more in the air it “performed aerial feats that were actually unbelievable”. Deputy Clarence Fry at Tehama County Sheriff’s Office would receive the radio report from the two officers. He would contact operators at the Red Bluff US Air Force radar station. To his astonishment, Red Bluff would soon report back that they had indeed got an “unidentified object” on their radar screens. Meanwhile, officers Carson and Scott maintained their position near their vehicle. According to Carson’s report, the object would approach their patrol car on two occasions. On each occasion “the object turned (and) swept the area with a huge red light”. When Scott would direct the red light from the patrol car towards the object, however, it would move away from them. From their position, they would observe the object sweep this red beam across the skies and to other locations below around six times. When the strange craft began to move away and towards the east, the two officers jumped back into their cars and followed. However, as they came up to the Vina Plains Fire Station, a second object appeared ahead and approached the first craft. Both of them hovered, sweeping their red beams across the skies and towards the ground. They would bring their vehicle to a stop once more and watch the proceedings. They would continue to watch until both of these mysterious crafts moved away to the east once more, this time disappearing over the horizon. It was now after 2 am. Upon returning to their base at Tehama County Sheriff’s Office, they would learn that two other officers, as well as the serving night jailer, also witnessed something strange. Their descriptions all matched with what Carson and Scott witnessed out on the lonely California highway. NOTE: The above image is CGI.